It is the era of internet and people use social networks to connect with each other. Google+ is one of the most popular social networking websites and its popularity is increasing day by day. 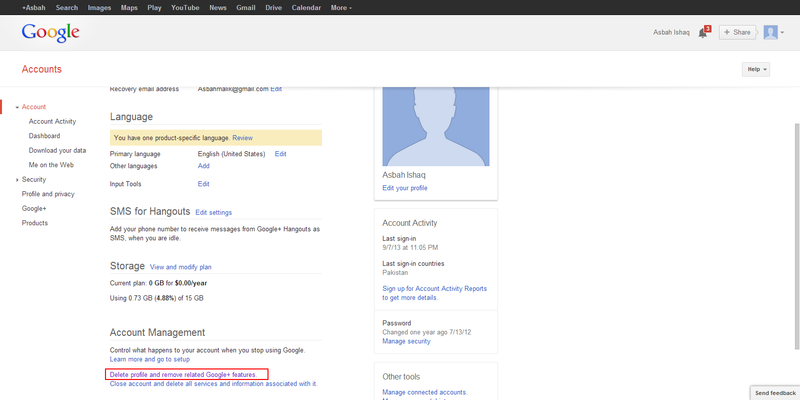 Whenever you make a new Gmail account you are given an option to get a Google+ account associated with it. You can have new features in you account due to Google+. Some people have more than one Gmail accounts but they want to have only one Google+ account. While some people don't like it and they just want to get rid of it. Go to Settings and click on "Delete profile and remove related Google+ features" at the bottom of the page. You will be moved to a page which will ask you whether you want to delete only your Google+ profile or the whole Google Account. 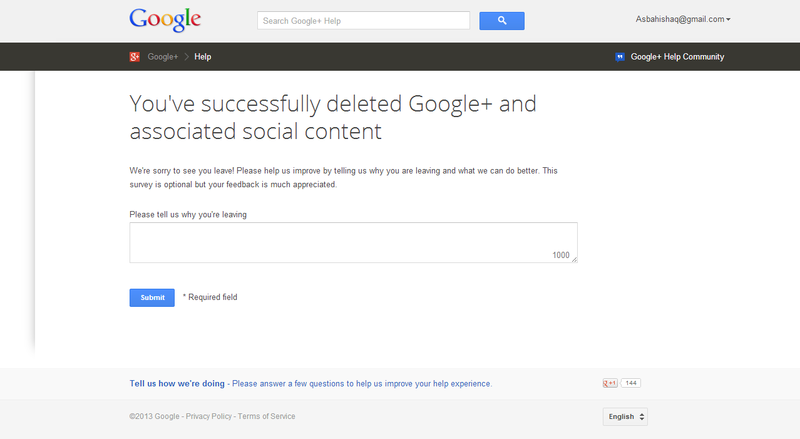 Select the first option "Delete Google+ Content" as you want to delete only Google+ Account. Choosing this option you will not lose the other services of Google you use. When you will click on the first option you will be shown a list of the things that will be done to your Google+ Profile and services related to Google. Now check "Required: I understand that deleting this service can't be undone and the data I delete can't be restored." to be able to delete your profile. Click on "Remove Selected Services". How To Synchronize Your Facebook Account With Skype? Now you will be moved to a page that will tell you that the deletion was successful. You will also be asked to tell the reason that you deleted it. Write the reason and click the submit button. BloggingeHow | Making Blogging Simpler: How to Delete Google+ Account Forever?